Vacation Home Building Nigeria - Vacation Home Construction Experts. Vacation home building is virtually for everyone alive. If you live in any of the bustling cities of Nigeria, you need a vacation home back in your home town or village. If you live overseas, you need a vacation home back here in Nigeria . . . in any of the cities of Nigeria dear to your heart or back in your home town. currently reside or in the home town or village. But the big question is: Who can they entrust with the delicate task of their vacation home construction? Some people think they can trust their family members to do a good job. So, they did just that. Unfortunately, many who entrusted family members with funds for vacation home building have ended up being scammed even by their own family members. use one half for their personal building or squander it altogether. Consequently, people wonder, "if you cannot trust even your own family members with cash, who else can be trusted?" Sadly, for many, such a time never comes. 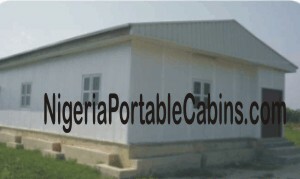 We offer trustworthy vacation home building solution for residents of Nigeria. Unlike family members who think of enriching themselves at the expense of their relatives, we think in terms of customer satisfaction. others about our service and those they tell will also do business with us and tell even more people about our service. Honesty is the best policy. And customer satisfaction is the secret to greater business profitability. These are the very principles we live by . . . honesty, integrity, and customer satisfaction. We build vacation homes, warehouses, prefab duplex, factories, eateries, restaurants, event centres, hospitals, clinics, schools and other education centres, and virtually any kind of building. Don't let the behaviour of certain individuals stop you from using the services of a trustworthy vacation home construction company. We are a building construction company you can trust. Home building is our business! Want to build a home anywhere in Nigeria? Want professional and speedy building construction?